Sweet with a medium body, low acidity, and earthy, complex aroma. Sumatra Lintong is grown in north central region of the island of Sumatra near Lake Toba in the Lintong region—Lintong is a market name. 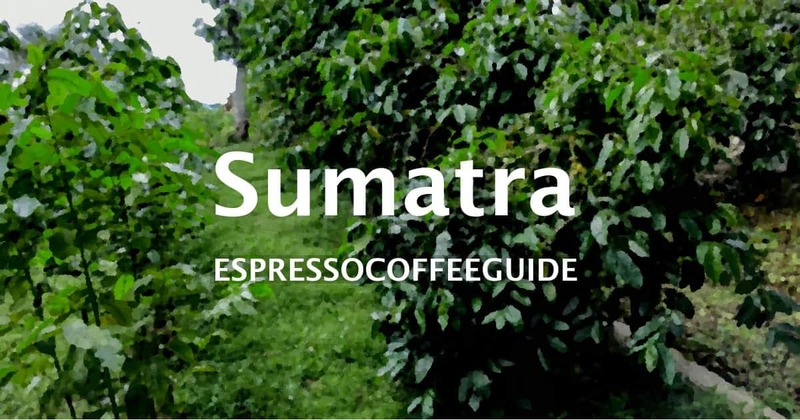 For tips on brewing the optimal cup of gourmet Sumatra Lintong coffee see the Espresso Coffee Guide’s section on Coffee Brewing. For easy to follow instructions on how to make some truly amazing Sumatra Lintong espresso drinks see our long list of detailed Espresso Drink Recipes and then polish up your barista skills with the How to make Lattes and Cappuccinos. Also provided are many helpful tips on Pulling A Perfect Espresso Shot so that you are able to appreciate all of its finest qualities. For the history of espresso and coffee see World’s Best History of Coffee, and for a complete list of coffee terminology with detailed definitions see the Espresso Coffee Guide’s Coffee and Espresso Glossary.